Nearness is a minimal 3HP mixer module for spacing out your sounds in the stereo field. The left and right outputs of Nearness are at the top and bottom. The 7 jacks between these are all mono inputs. Each input has a different pan ratio depending on how close to an output it is, meaning the centre input is panned 50:50 to each output, other inputs are panned progressively harder to the output they are closer to, until the inputs adjacent to outputs are panned almost completely to that output. The level for each output can be switched with a jumper between 1:1 amplification (for use inside the eurorack system) or -6db line level (in case you use Nearness as the output module of your system). Size: 3cm (6HP) x 128.5cm x 3.7cm. 7 preset-panned inputs, 2 outputs. 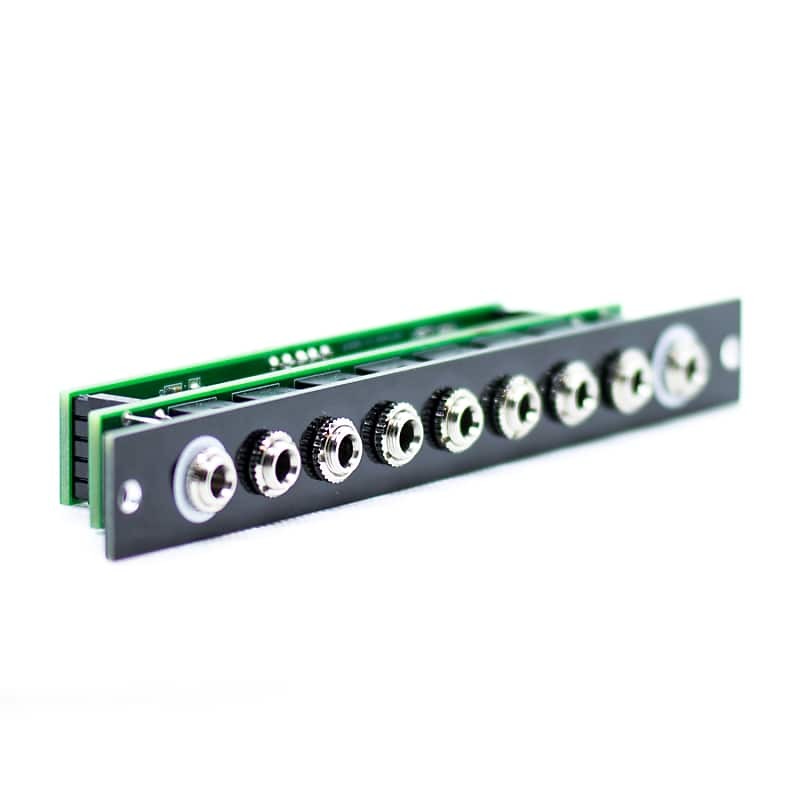 Package contents: 1x stereo mixer module, 1x 16 pin power cable, 2x M3 screws.